If you’re already starting to fall off the wagon on that New Year’s resolution you set to stay in shape, now may be the time for you to get back on track. 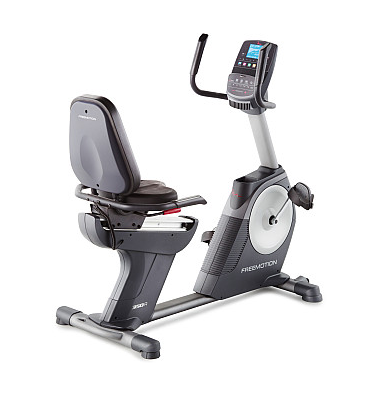 Sports Authority is selling the FreeMotion 350R Recumbent Bike for only $499.99 (regularly $999.99) as part of the store’s Deals of the Week promotion. That’s practically a half-off sale on the fitness equipment item. This recumbent bike boasts 22 levels of resistance, a cooling fan, bottle holder, calories burned and pulse readout, and 350-pound weight capacity. Get this deal at Sports Authority.